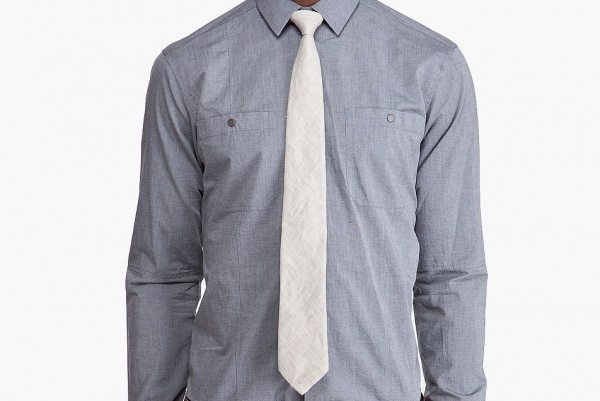 Kris Van Assche offers a simple yet textured look with this flax tie. The designer’s understated beige tie with slight pilling contrasts nicely against a solid coloured dress shirt. Featuring black lining and made in Italy, the tie is available online now through Ssense. This entry was posted in Ties and tagged Italy, Kris Van Assche, Tie, Van Assche. Bookmark the permalink.